What it is: an interactive strategy puzzle solving game. 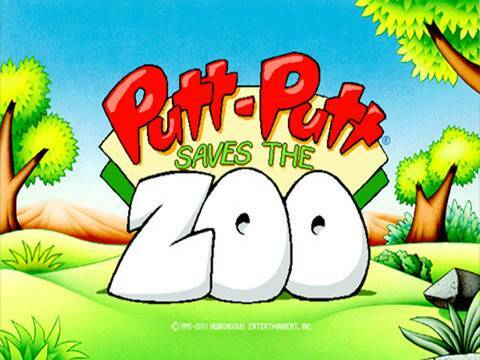 Please note, that it is an iPhone/iPad adaptation of a game available for many platforms. 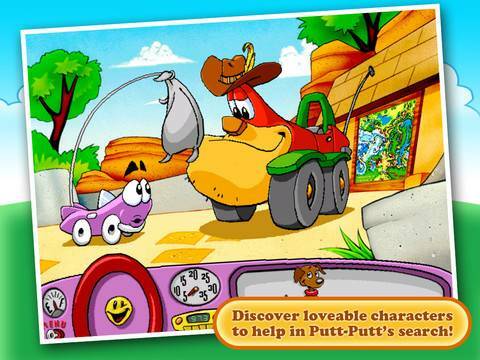 What you do with it: help Putt Putt (a funny talking car) find missing animals by solving various puzzles along the way. What we liked: the concept, interactivity, navigation, 'likable' characters, illustrations, animations, sounds, number and variety of tasks, extra elements. 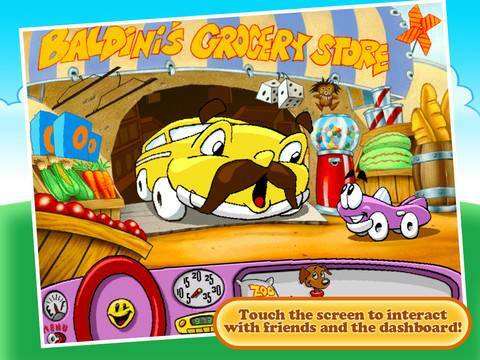 It's a perfect app to introduce your kids to the world of electronic games. What we didn't like: audio quality. Please note that it is not a pure educational application although it may be useful for thinking and problem solving skills. 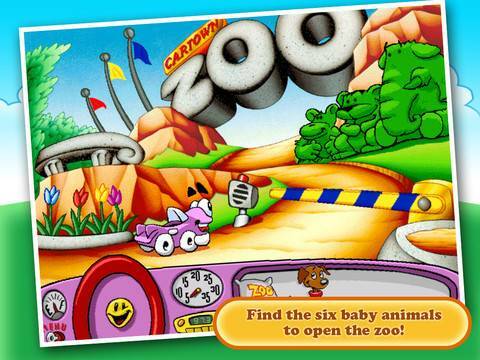 We rated the app's interface as 'Kid Friendly' but younger kids would need parent's assistance to play.